Aging or ageing is a central theme in many cultures. 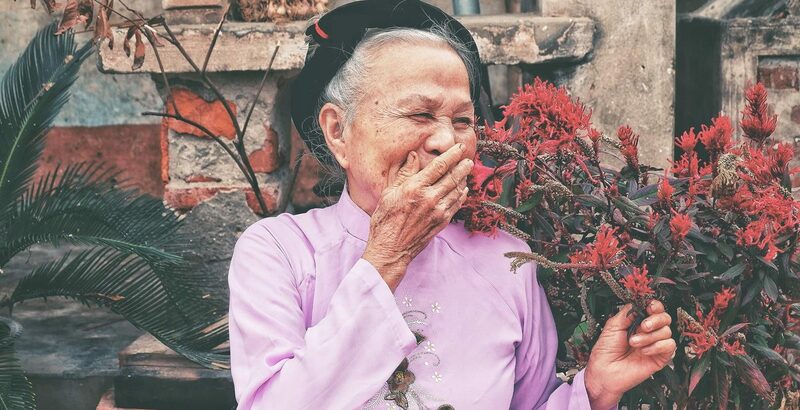 In China, the elderly are revered for their wisdom and experience, while in other countries they are often ignored and neglected. As we age our bodies and mind become weaker and our view of the world can change, why does this happen? There are some who don’t change at all, but could that be because of their upbringing? 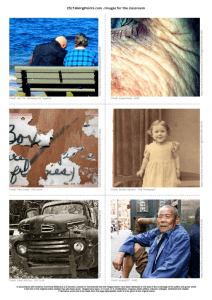 From being wildly youthful and adventurous to becoming older and perhaps wilder, this intermediate lesson seeks to help students explore age and time. Attentive (adjective) – when a person is caring for you and aware of your individual needs. Pay close attention to something. Impairment (nouse) – when mental or physical abilities become less sharp or effective. It is common for the elderly to have hearing impairment due to old age. Dementia – a physical and mental illness. When people have trouble remembering things and recognising people. This is a very common issue in the UK. Handicapped (adjective) – when someone has a condition that restricts their physical or mental abilities. Young at heart (idiom) – to be young in spirit despite being physically old. Ripe old age (idiom) – to be very old. Adolescents – young people under the age of 18. Act your age (idiom) – when someone is being immature or acting too responsibilly for their age, you can say “act your age”. It is projected that by 2050 there will be 90 million people in the US who will be 65 years and older. When we are born the human body has 360 bones in total. As we age, however, some bones tend to physically fuse together or fall out of the body (think milk teeth and etc), when we grow up the body only has 206 bones. Interestingly, the brain and nerve cells are the only cells in the body that cannot regenerate. Once brain cells are damaged they are not replaced. By 60 years of age, we start to have difficulty breathing and 60-percent of men and 40-percent of women will begin to snore when sleeping. Snores average around 60 decibels, the noise level of normal speech but often reach more than 80 decibels. Eighty decibels is as loud as the sound of a pneumatic drill breaking up concrete. Noise levels over 85 decibels can damage the human ear. “Occasionally I’ve seen children become heavy-handed and insensitive when dealing with their ageing parents, and it only caused resentment and hard feelings. • Are there any benefits to growing old? •Will people create a way to cheat aging and so never grow old? • How does society view the way men and women age? • Do you know any famous people who aged well? • Does age bring wisdom? • Should children support their elderly parents? • Do you want to live forever? If not, how long? • How old is the oldest person in the world? What is their secret to a long life? • Can age change your perspective on the world? • How do people feel about the old in your country? • Are you able to make friends with people who are much older than you? Why? • Should anti-aging products be illegal? 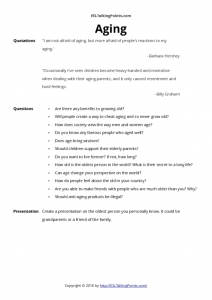 Create a presentation on the oldest person you personally know. It could be grandparents or a friend of the family. To learn more about this subject or to read about how the elderly live today please visit Age UK which is a British charity helping those in need. What future content would you like to see? 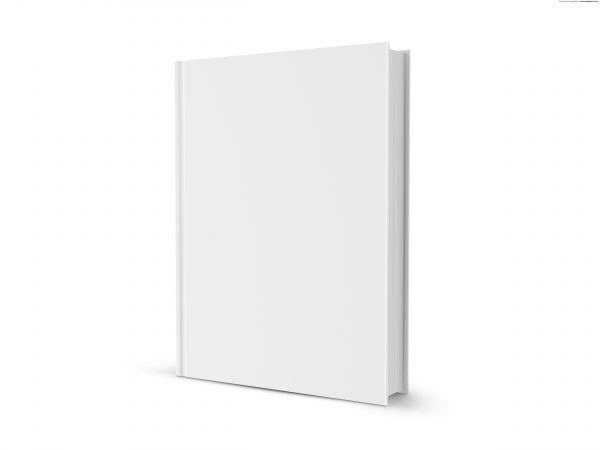 Talking Points book, coming soon!